Charles Darwin's eight-year barnacle odyssey. Having come up with his big idea of Natural Selection, Charles Darwin held back from publishing for 20 years. This might partly have been because he knew his theory would be controversial, but Darwin also felt he needed to do more research, and to establish himself as an expert in species classification—which is how he came to spend eight years studying barnacles. Even Darwin fanatics like me who have read Darwin’s correspondence for the barnacle years must have found their eyes glazing over at some points. For the non-specialist, barnacles are not the easiest animals to get excited about, and Darwin’s writing is very technical. 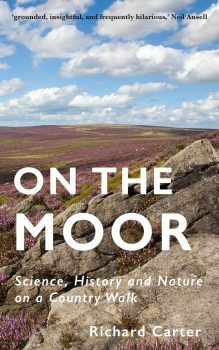 Rebecca Stott’s book, however, places Darwin’s barnacle work in context, skirts round the more technical stuff, and turns out to be surprisingly enjoyable. One aspect of this book I had mixed feeling about is Stott’s occasional literary descriptions of Darwin’s actions and thoughts. They read more like a novel than a non-fiction book. In fairness to Stott, she is careful to include footnotes explaining her sources for the details she gives, and her descriptions help set the scene very well, but I’m always wary of ‘creative’ descriptions like these in non-fiction books.